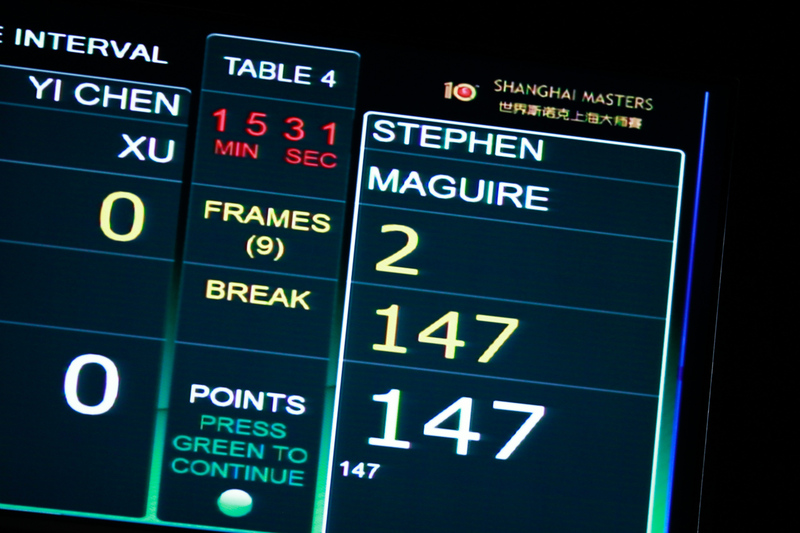 Stephen Maguire made the third 147 of his career during his opening match at the Shanghai Masters on Tuesday. The Scot’s perfect break came in the third frame of his meeting with wild card Yi Chen Xu and put him 3-0 up. It’s his second maximum in China as he also made one at the 2008 China Open. World number 20 Maguire’s break will be worth £7,000 if it is not equalled this week – £2,000 for the tournament high break plus £5,000 from the rolling 147 bonus pot. It’s the 120th maximum in snooker history and second of the season after Thepchaiya Un-Nooh’s 147 at the recent Paul Hunter Classic.